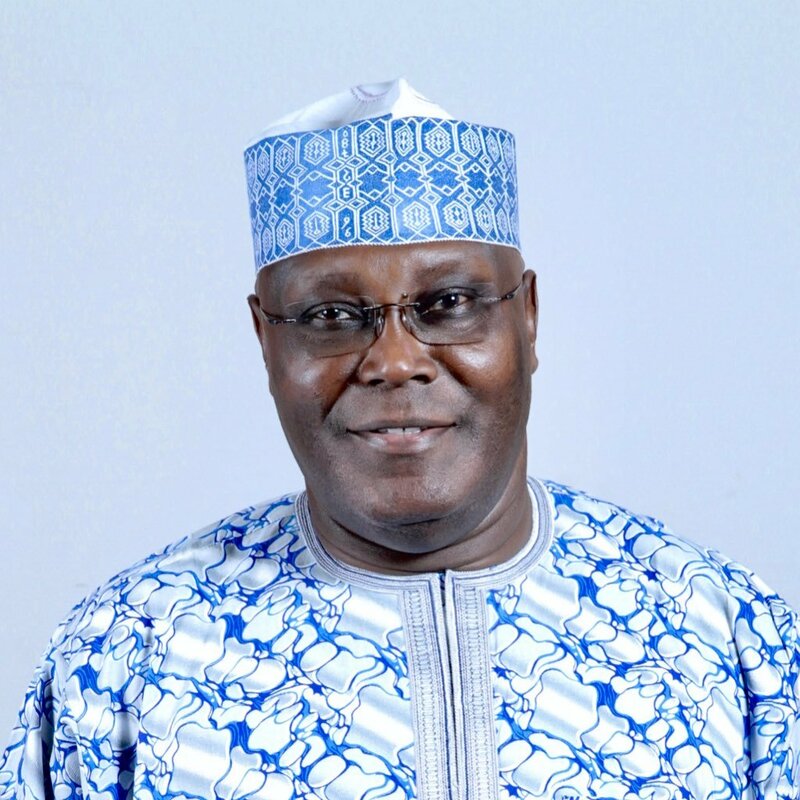 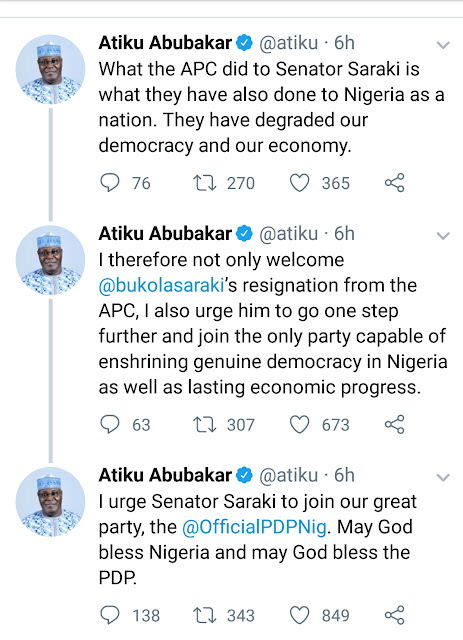 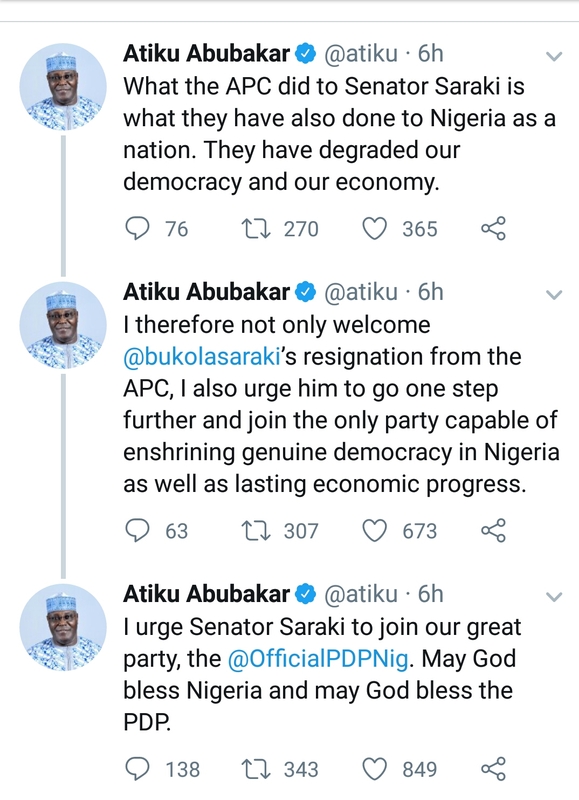 Former vice president Atiku Abubakar has taken to his social media handle to air his views concerning the senate president's resignation from the ruling APC .
" 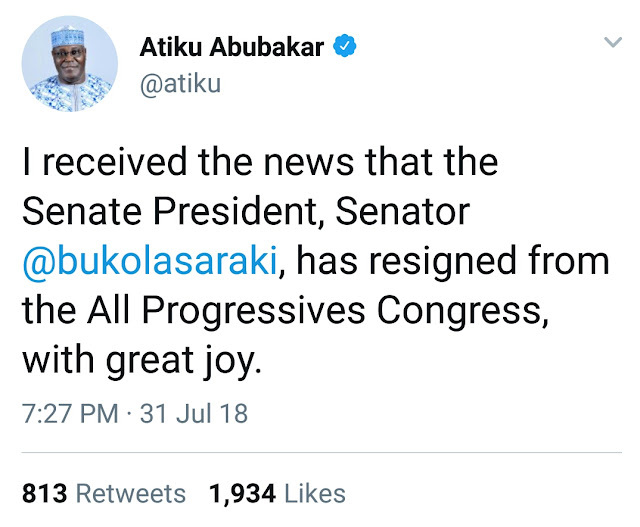 I recieved the news that the senate president,senator @bukolasaraki,has resigned from the All progressives congress,with great joy." 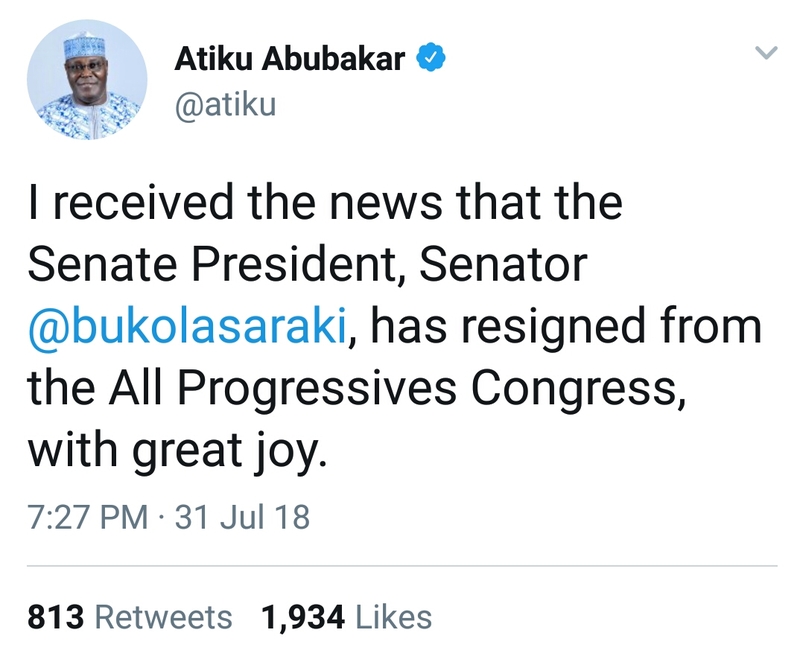 He also urged the senate president to rejoin the peoples democratic party.